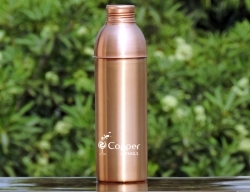 Compact size suitable for keeping in the refrigerator. 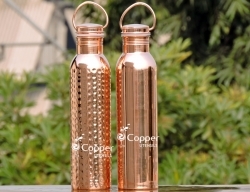 Stainless steel exterior and pure copper interior for reaping â€˜tamra jalâ€™ benefits. 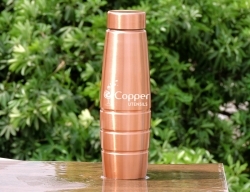 Matching lid to prevent dirt and dust from getting into the jug. 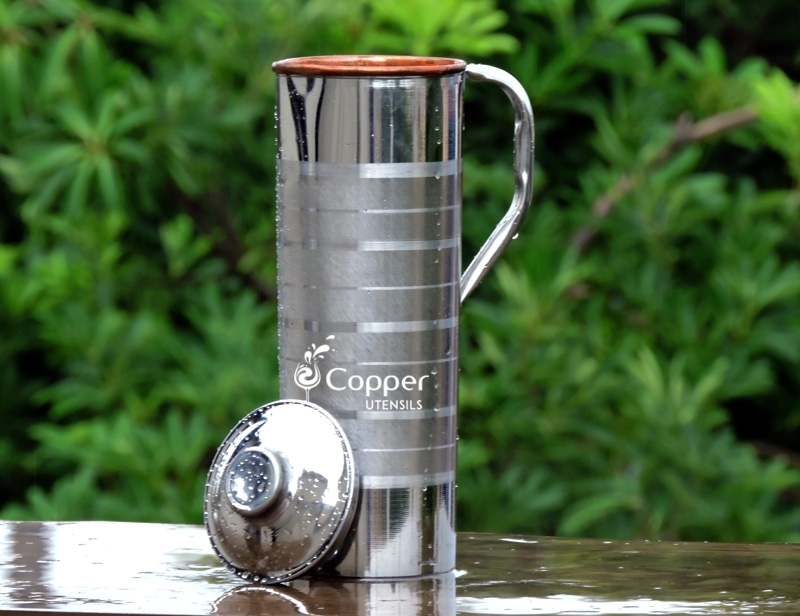 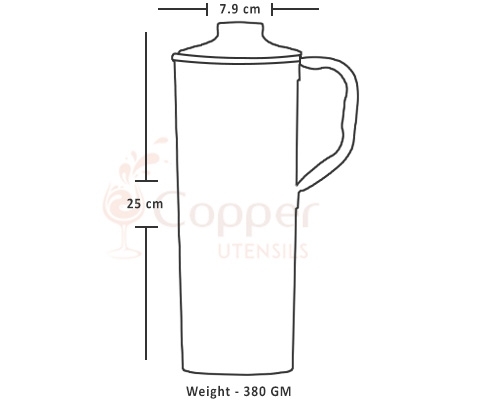 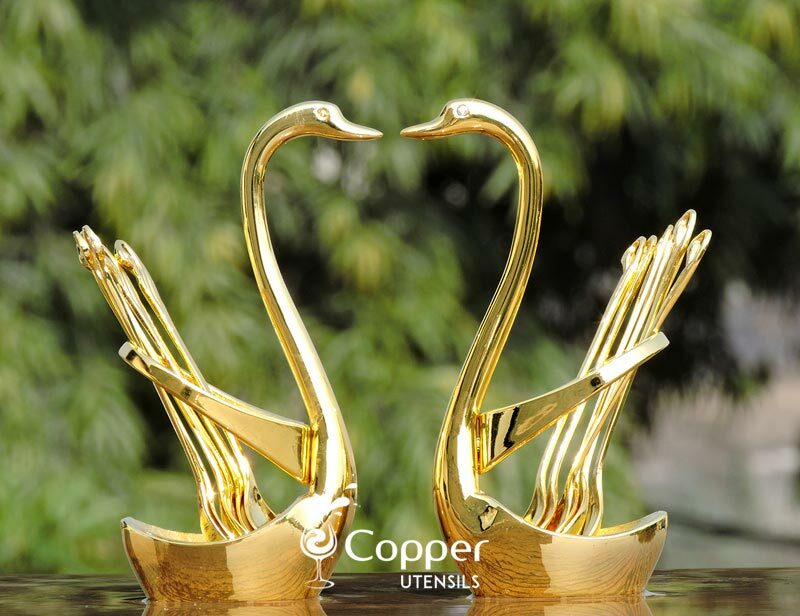 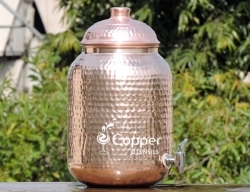 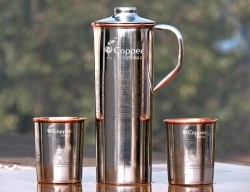 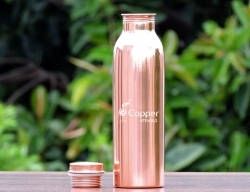 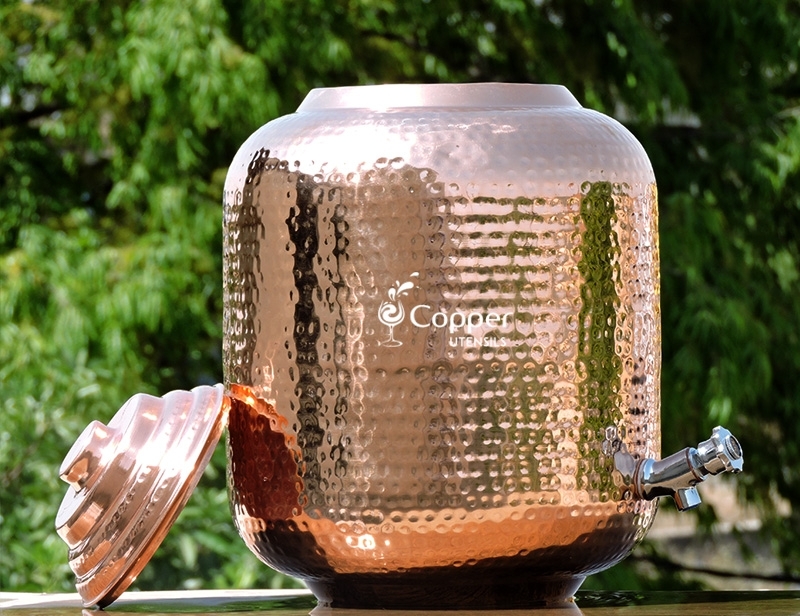 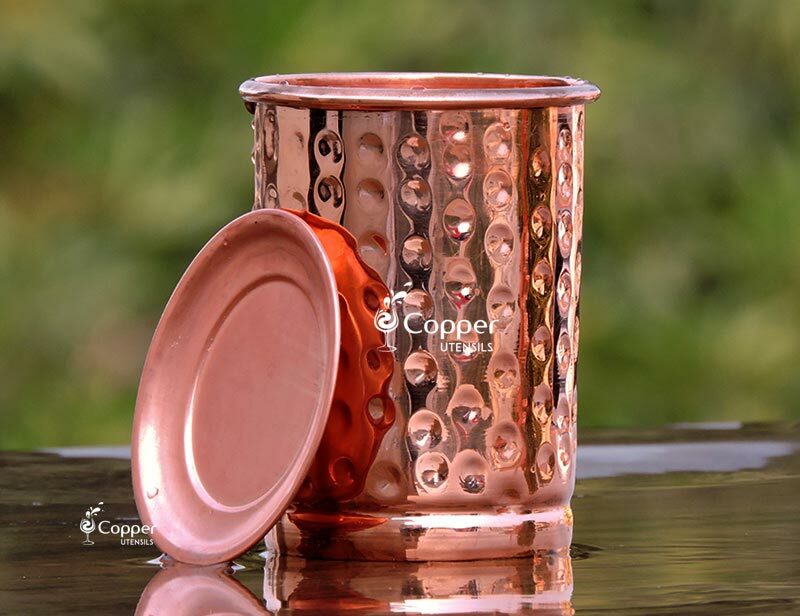 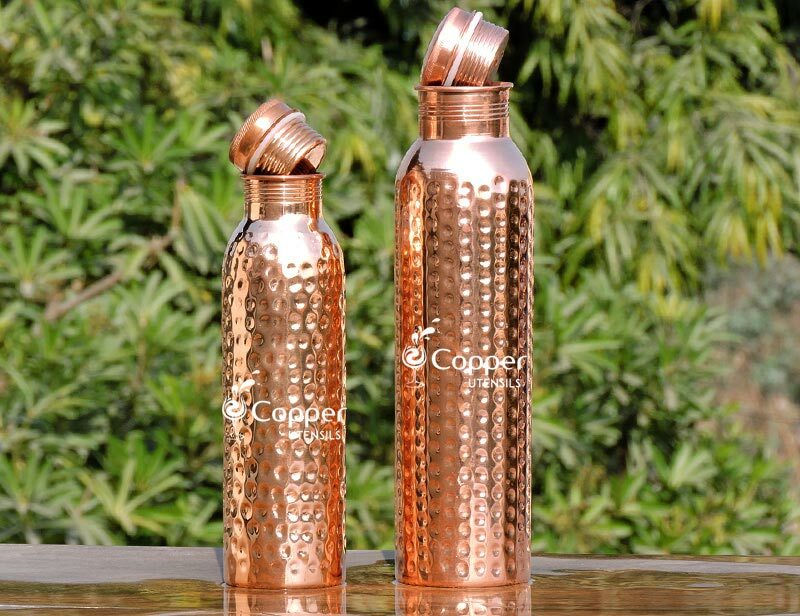 Copper water is loaded with anti- oxidant and anti-inflammatory properties which help in improving the immune system of the body making you less prone to falling sick. 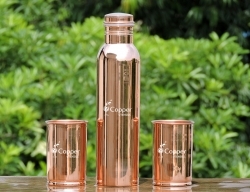 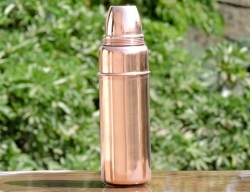 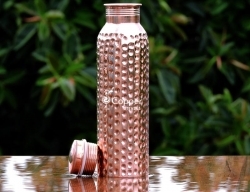 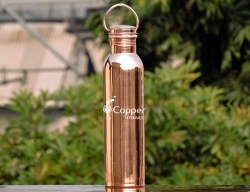 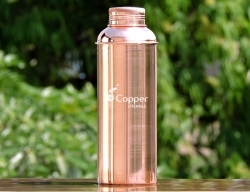 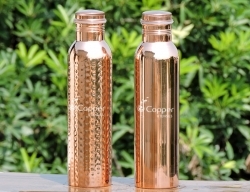 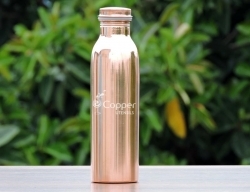 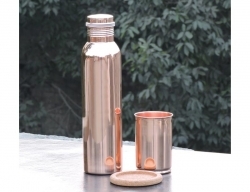 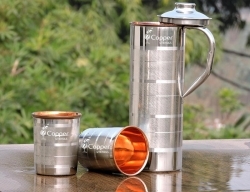 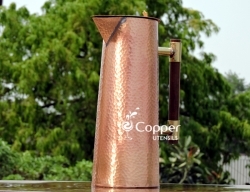 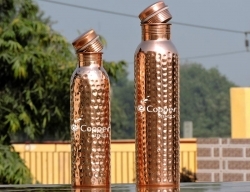 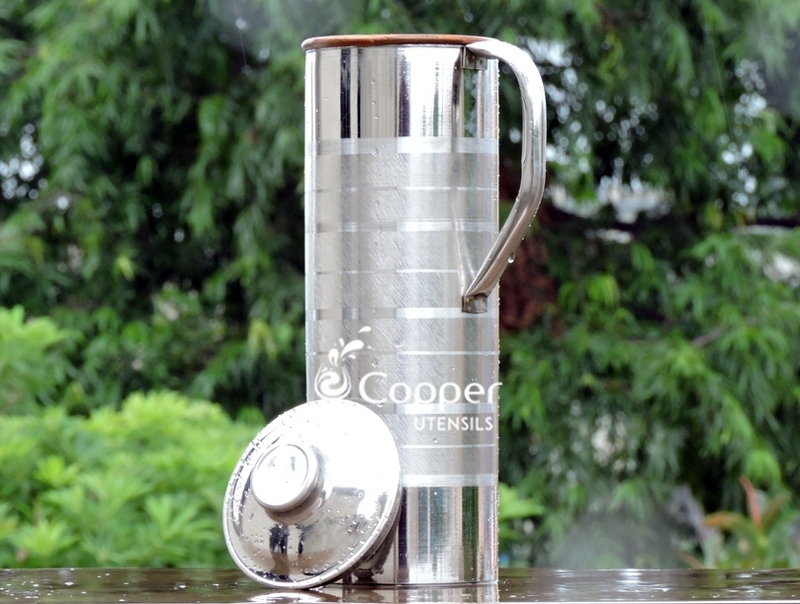 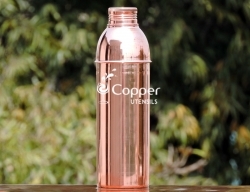 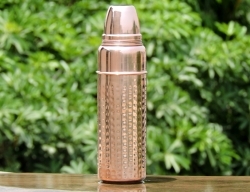 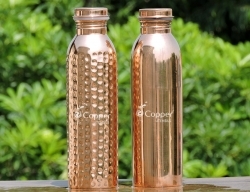 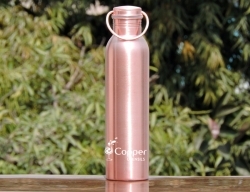 Our steel and copper fridge bottle is your perfect companion during summers. 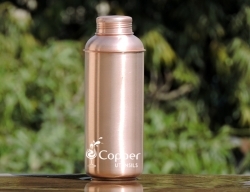 You can easily store this compact fridge bottle in your refrigerator. 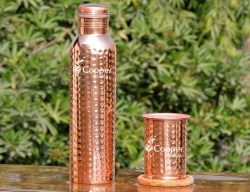 The copper interior of the fridge copper bottle ensures you fresh copper treated water. 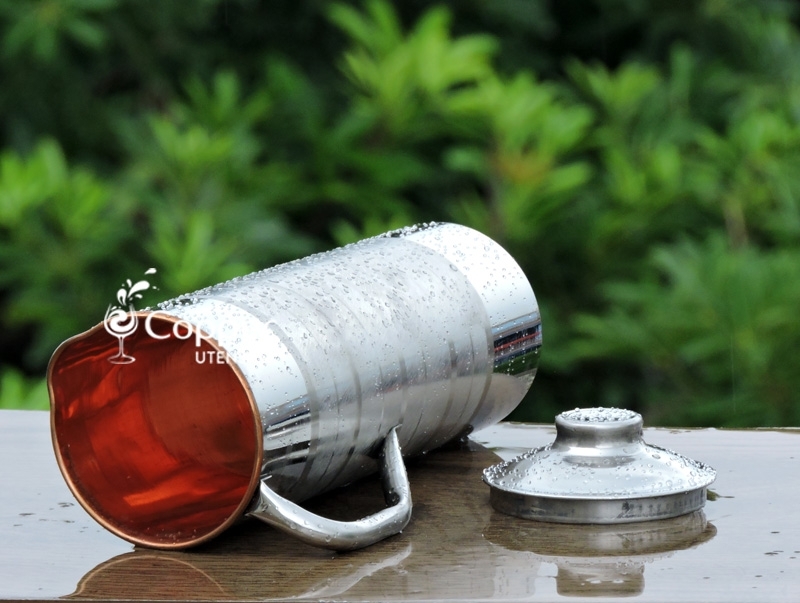 While the steel exterior means you need not worry about the maintenance much. 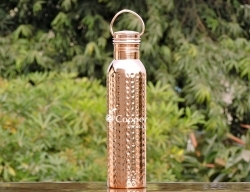 You can easily wash the bottle with normal dishwashing liquids and soaps. 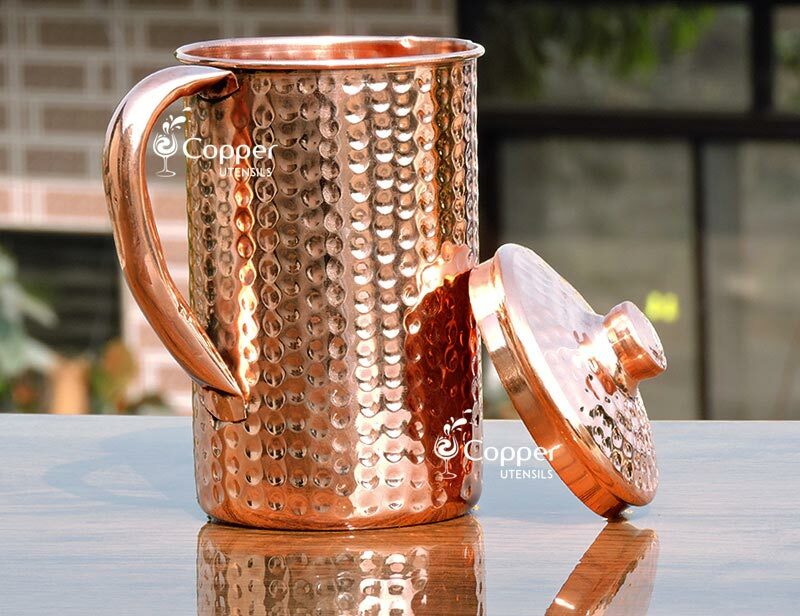 For cleaning the copper interior you can use a solution of lemon and salt. 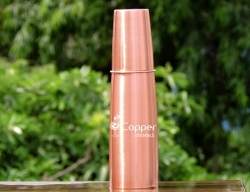 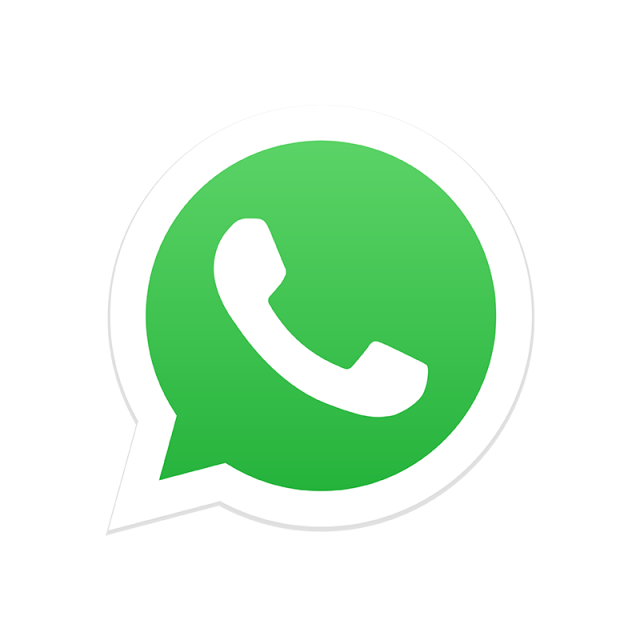 With a soft cotton cloth, rub the solution on the inside of the bottle to get rid of any stains. 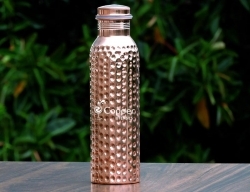 I love this bottle! 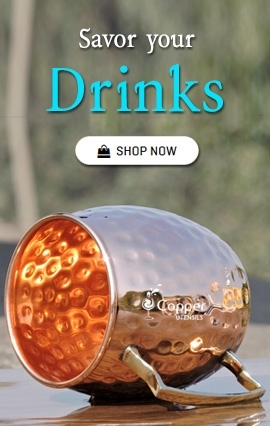 It looks great and pours really well. 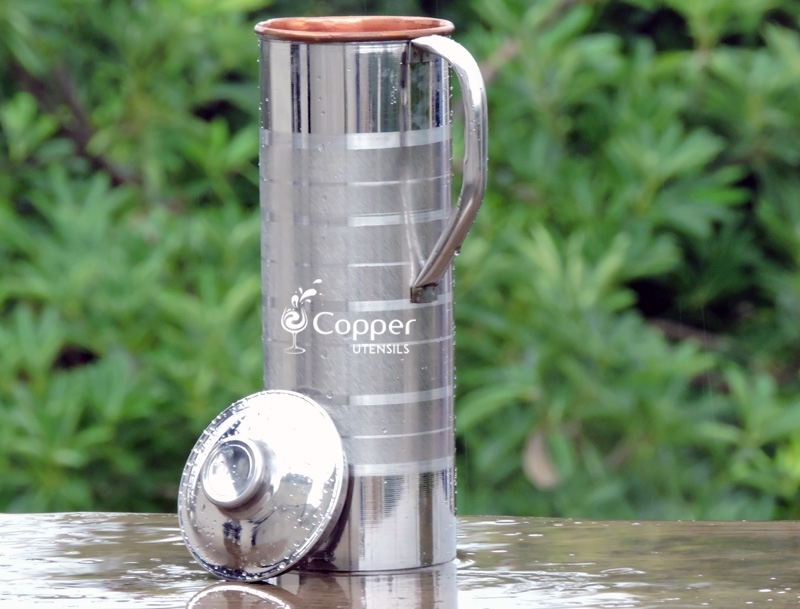 It arrived quickly and in good condition.